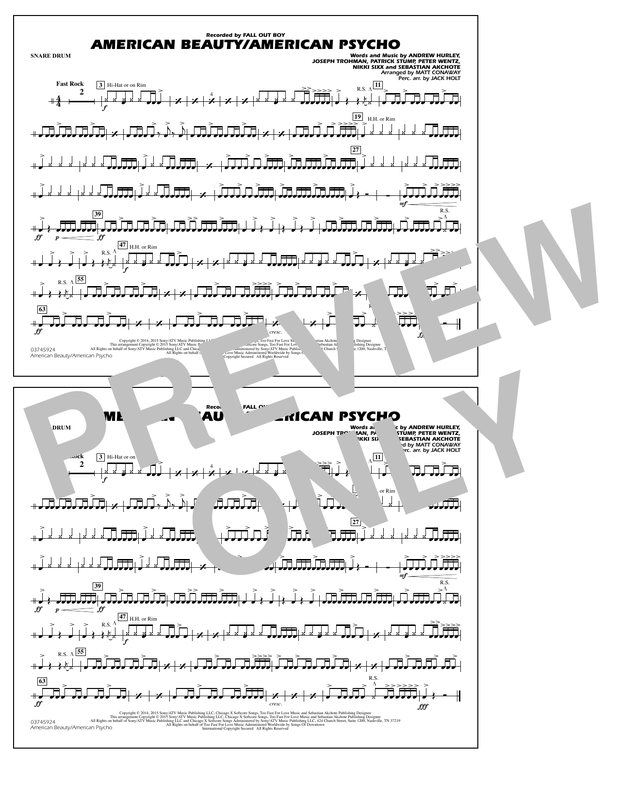 Description: Featuring a frantic tempo and sizzling melodies and riffs, this hit from Fall Out Boy is destined to become a stadium standout! 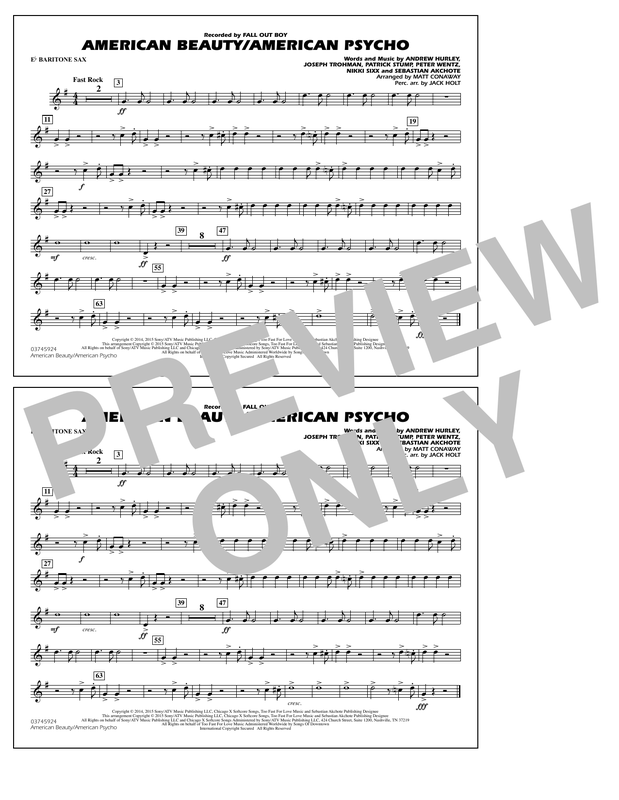 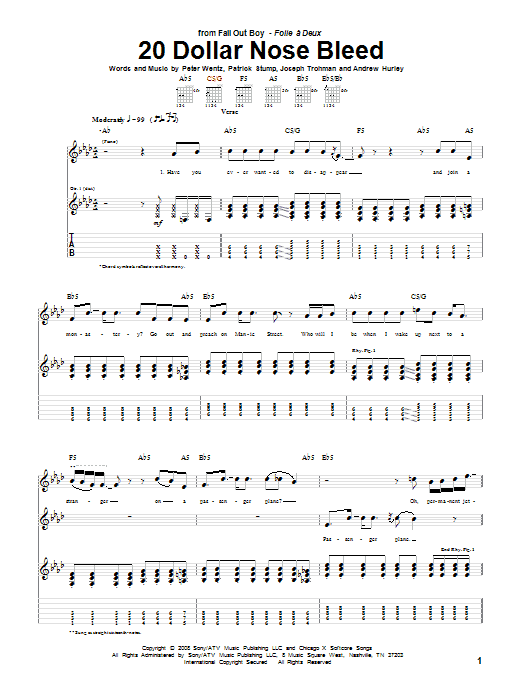 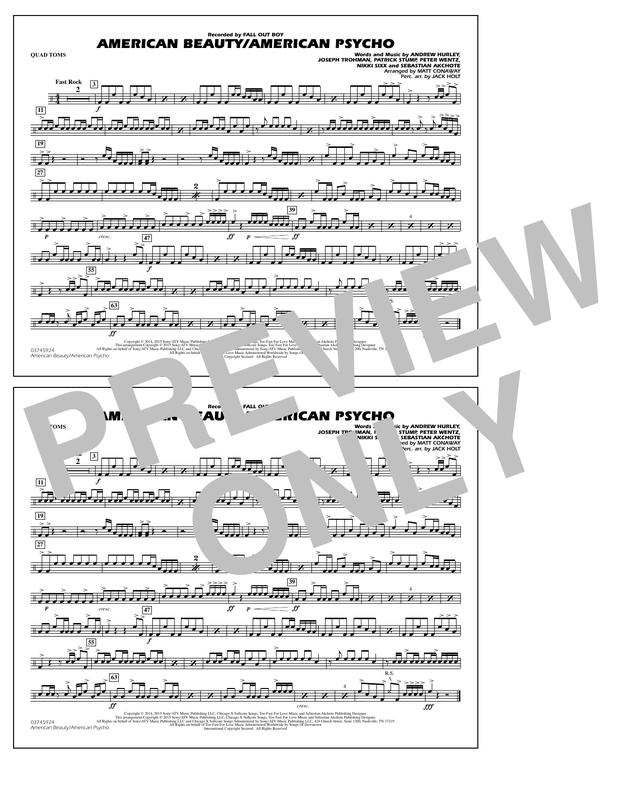 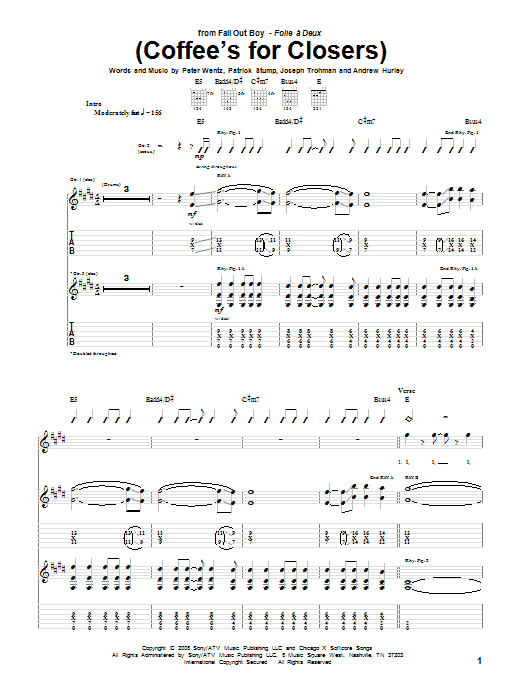 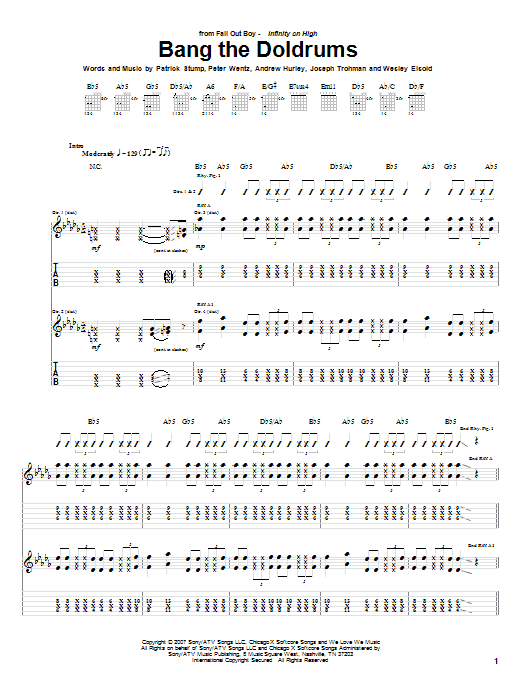 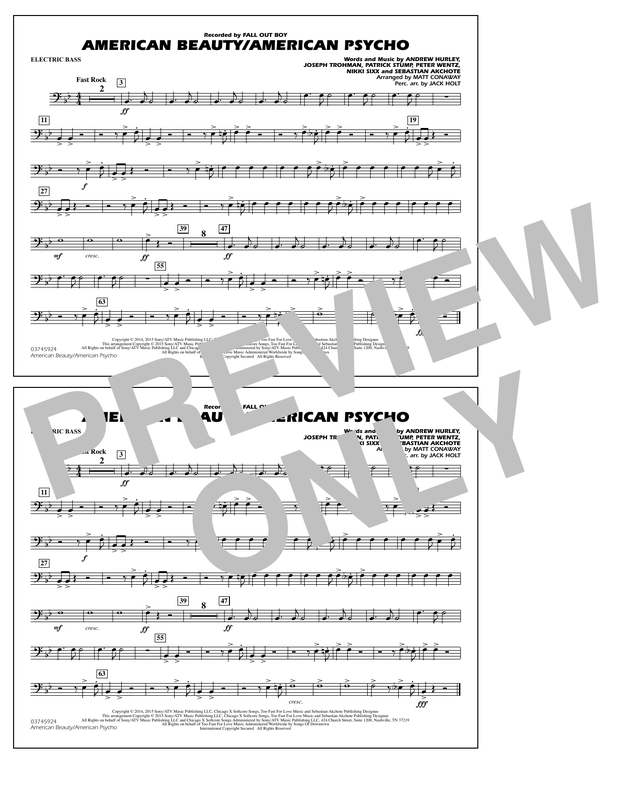 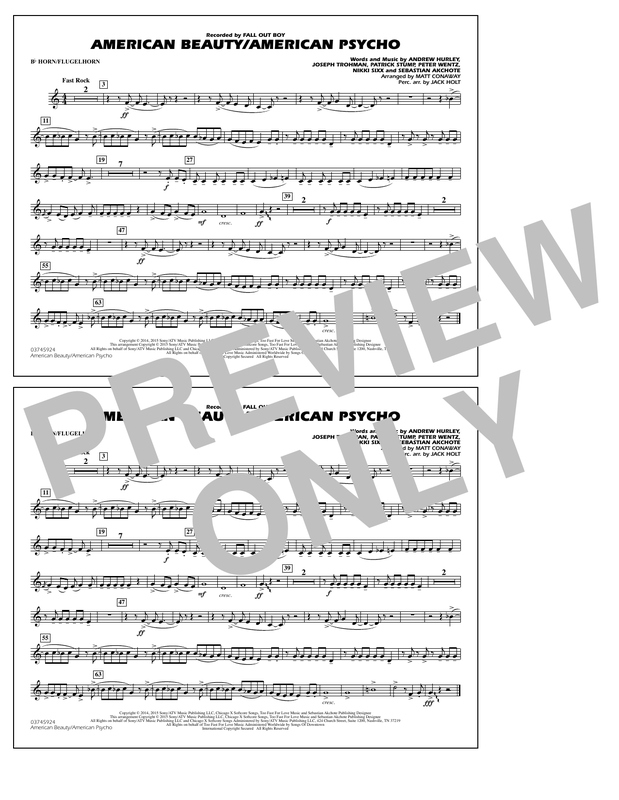 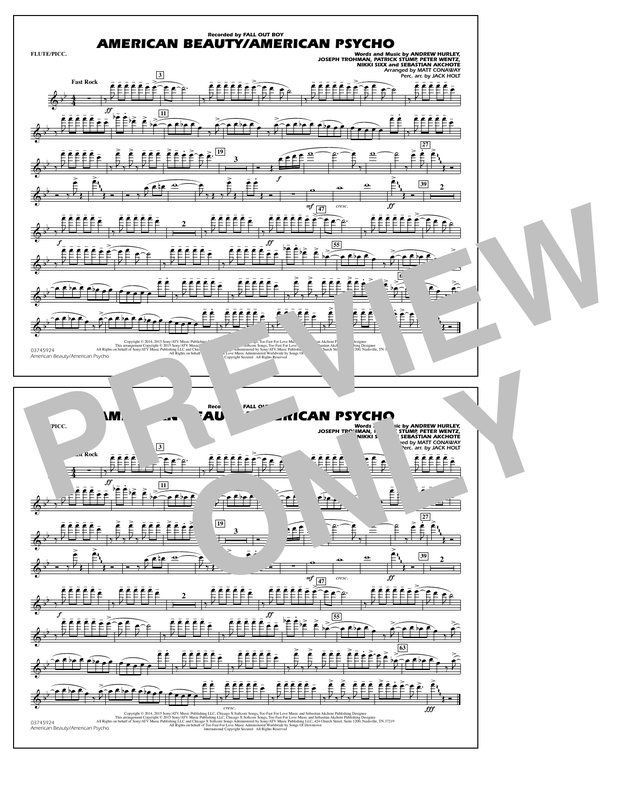 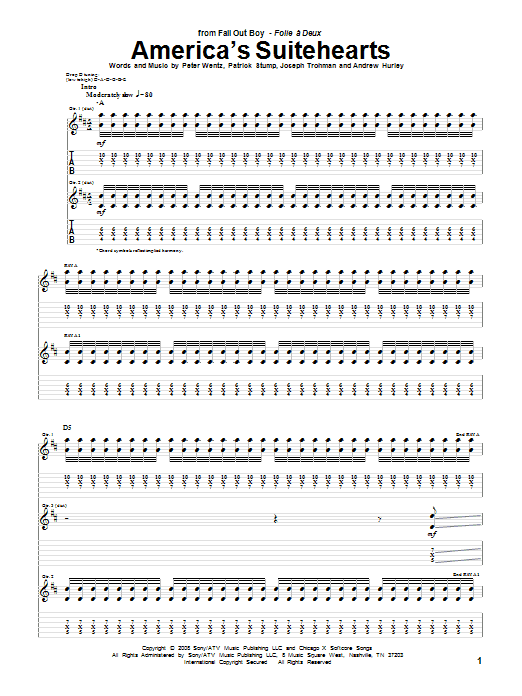 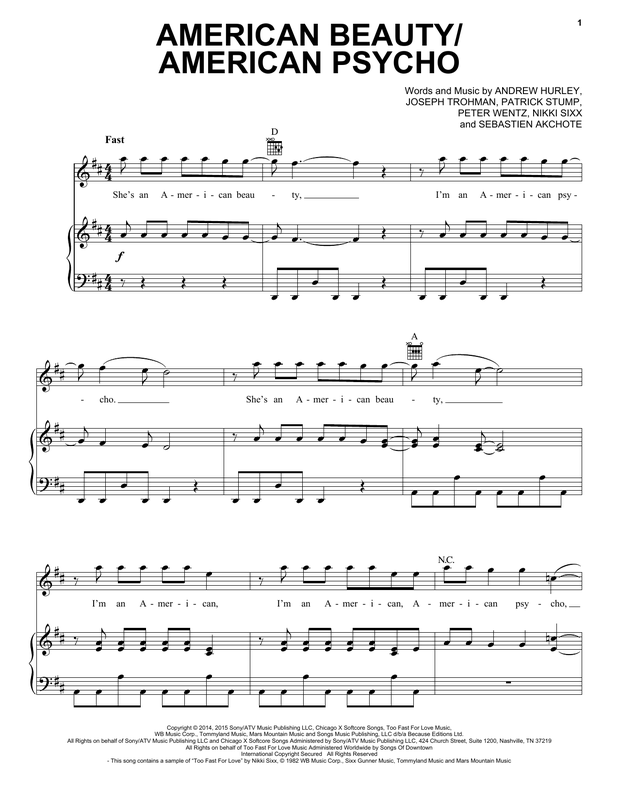 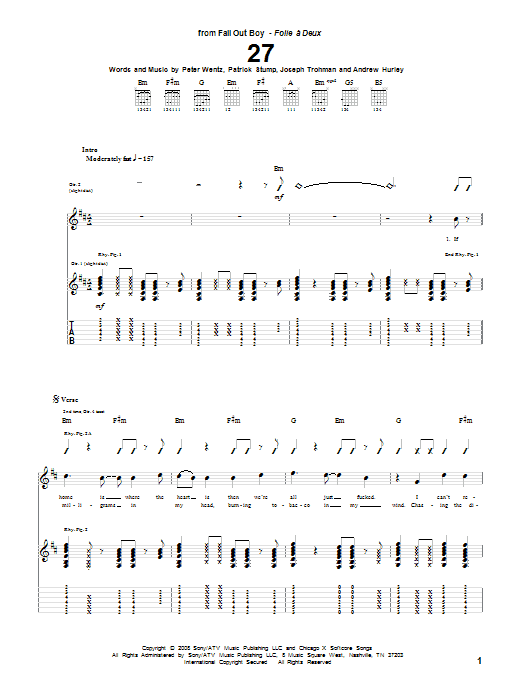 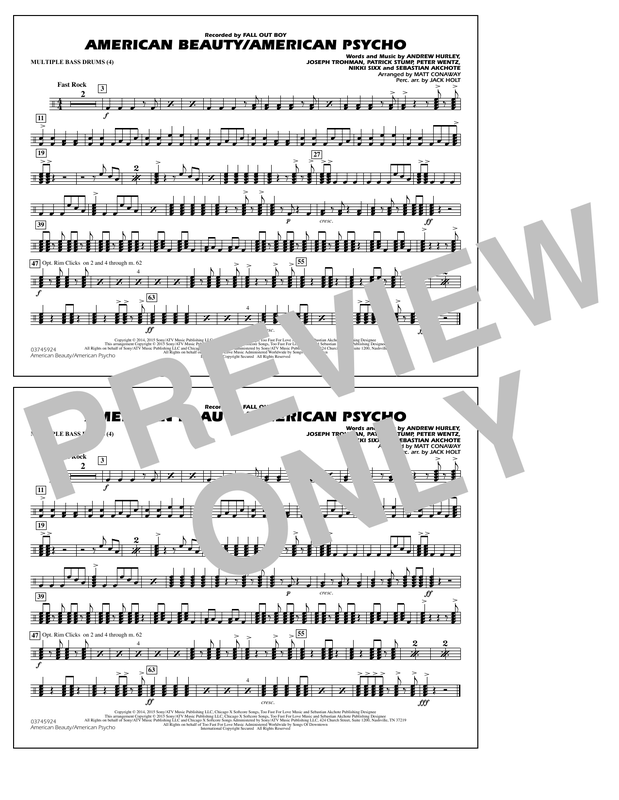 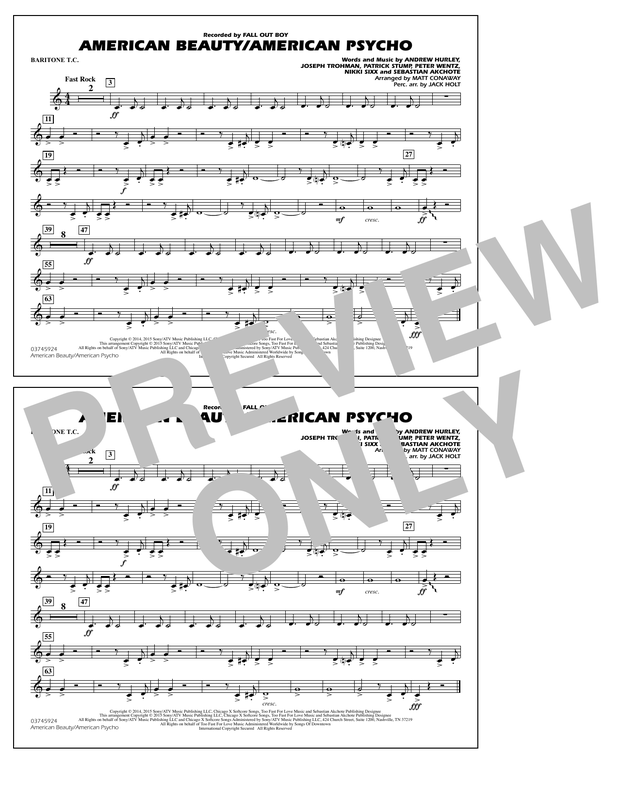 American Beauty/American Psycho - Baritone B.C. 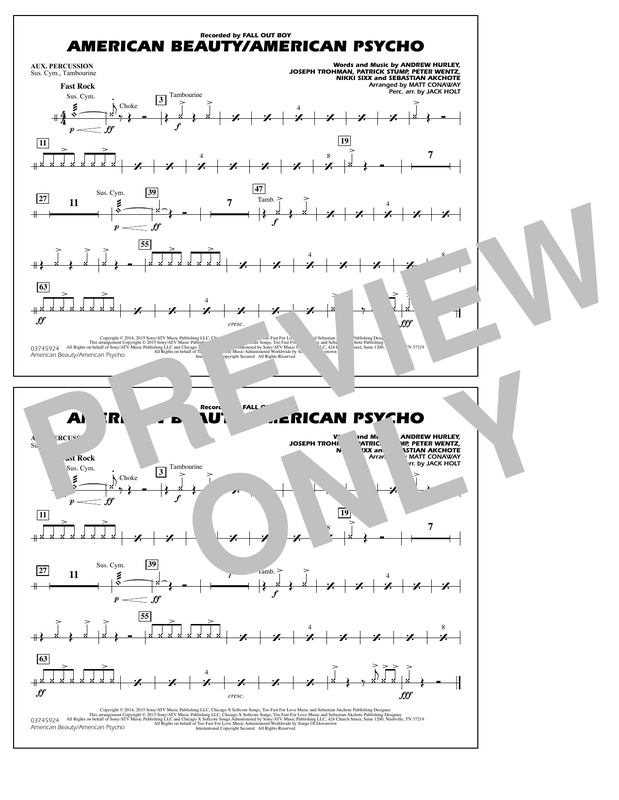 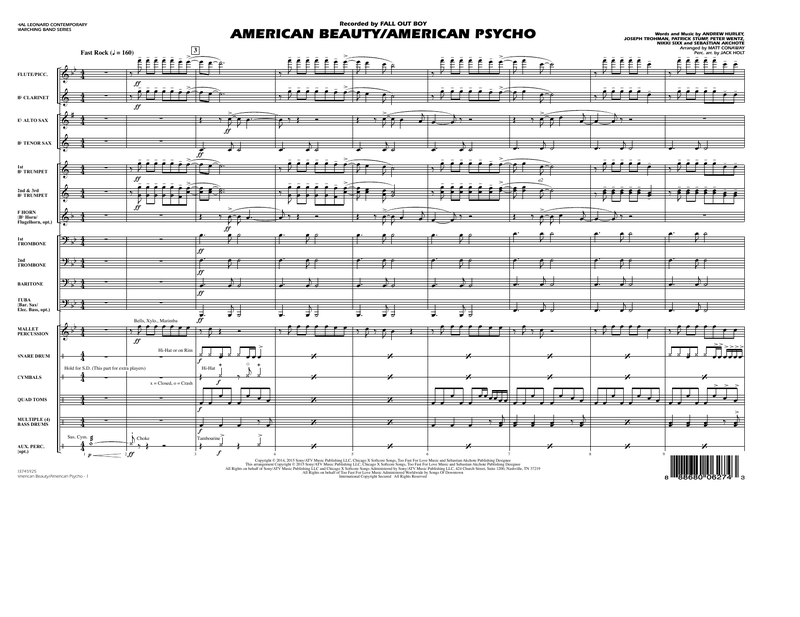 American Beauty/American Psycho - Baritone T.C.